Pollster Gallup admitted on March 28 that three decades of polling data contain fundamental flaws "well beyond what we would attribute to normal sampling error." Gallup’s admission centers on its high-stakes question of whether Americans have greater sympathy for Israelis or for Palestinians. Gallup loudly trumpeted that Americans "increasingly sympathized with Israel in recent years." U.S. based Israel affinity organizations and the Congressional Research Service long used Gallup sympathy polls to claim that most Americans support giving most of the US foreign aid budget to Israel. Gallup attributes its sudden admission of error to "an analysis of [Gallup] World Affairs surveys and other surveys conducted at about the same time indicate this is not the case." Gallup’s reevaluation may have been triggered by more than its own polling and cited polling done by CNN and Pew Research. In both 2018 and 2019 IRmep paid to field Gallup’s precisely worded polling question through the highly accurate Google Surveys representative polling service. The analysis of results, published at Antiwar.com on March 13, 2019 and April 29, 2018, found that contrary to Gallup results the majority of Americans do not sympathize more with Israelis "in the Middle East situation." On March 6 Gallup claimed 59% of Americans sympathized more with the Israelis and only 21% sympathized more with the Palestinians. The poll was part of a multi-question survey fielded by telephone. Gallup’s question was, "In the Middle East situation, are your sympathies more with the Israelis or more with the Palestinians?" A majority of Americans, 52.5%, far from expressing overwhelming – but declining – sympathy for Israel, claim that they hold "No opinion" on the matter. Only 22.2% of Americans said they sympathized more with the Israelis. This amount is less than the total number (25.3%) of Americans answering "Neither" "Both" and "Palestinians. The "Palestinians" response was 6.8%. Analysis of Gift Travel Filings made to the US House of Representatives Office of the Clerk over the past half-decade reveals Israel is far and away their top foreign destination. House of Representatives members made nearly 1,400 trips to Israel, while total subsidized visits to foreign countries other than Israel were 2,500. The vast majority of Israel trips are funded by the American Israel Education Foundation which raises tax-exempt contributions from pro-Israel donors and Jewish federations. They typically last eight days and cost $10,000. AEIF is a corporation created in 1988 by the domestically-registered lobbying group AIPAC, the American Israel Public Affairs Committee. In 2009 66% of AEIF’s board was comprised of AIPAC directors. Since AIEF is merely a lobbying funding conduit with no employees, whenever members of Congress travel to Israel, they are accompanied instead by staffers from AIPAC. In 2017 AIEF reported raising $60 million in revenue and expending $57 million. 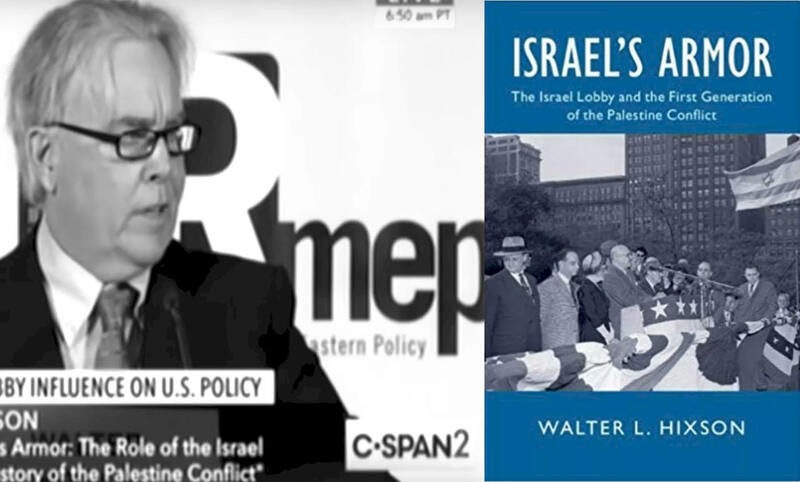 Another sole-purpose entity set up by AIPAC in 1984 is the Washington Institute for Near East Policy which works to portray policies favored by the Israeli government as being in the American interest. Walter Hixson is a distinguished professor of history at the University of Akron. He will discuss key findings from his forthcoming book, Israel’s Armor: The Israel Lobby and the First Generation of the Palestine Conflict. Martin F. McMahon is the plaintiffs’ attorney in the landmark legal action against Israeli settlers and their American financiers. He explains what follows his Palestinian and American plaintiffs’ recent legal victory in the DC Court of Appeals. Ticketholders can attend the main program, ideas fair, receive a box lunch and an invitation to the post-conference reception! 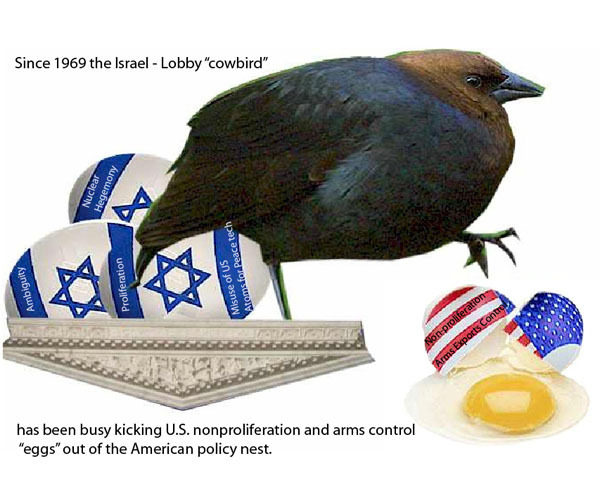 IsraelLobbyCon is solely sponsored by the American Educational Trust, publisher of the Washington Report on Middle East Affairs, and the Institute for Research: Middle Eastern Policy (IRmep). Question: Should members of the US Congress taking educational trips to Israel also visit the territories where Palestinians expelled during Israel's creation live? Source: IRmep representative poll of 1,014 American adults through Google Surveys on February 19-23 with a root mean square of 4.7%. New legislation passed in the Senate seeks to legalize the right of individual state governments to force American companies to certify they won’t engage in economic boycotts of Israel as a condition for receiving government contracts. But only 22.5% of American adults favor anti-boycott measures. A new representative IRmep poll conducted through Google Surveys finds that 74.9% of Americans oppose forcing government contractors to forswear boycotts. Question: Should Congress force American businesses seeking government contracts to first sign a pledge that they won’t boycott Israel for its human rights record and military occupation? Flashpoints host Dennis Bernstein and IRmep's Grant F. Smith discuss the Twitter and media frenzy unleashed by Minnesota representative Ilhan Omar's brief tweet about the Israel lobby and money. How did AIPAC reconstitute after the Department of Justice ordered it to register as an Israeli foreign agent? How does AIPAC wield power and influence? Why does establishment media do such a poor job reporting on Israel Palestine and the lobby? What cracks are starting to appear? On January 17, IRmep filed a 59-page brief (PDF HTML) in a lawsuit demanding release of a series of secret presidential letters promising not to force Israel to sign the Treaty on the Non-Proliferation of Nuclear Weapons (NPT) or publicly discuss Israel's nuclear weapons program. Going against the consensus advice, on September 26, 1969, President Nixon adopted the Israeli policy of “ambiguity” (never confirming or denying Israel’s nuclear weapons program) in a meeting with Israeli Prime Minister Golda Meir. US presidents through Donald Trump have continued the Israeli "ambiguity" policy in a series of letters written under intense lobbying by the Israeli government. Fitzgerald claimed that confirming or denying the existence of the letters could result in "sowing doubt about the US commitment to the Nonproliferation Treaty…eliminating strategic ambiguity…revealing information shared with an expectation of confidentiality; undermining US government policy limiting the potential for an arms race in a particular region…suggesting differential treatment; and revealing the relationship (or absence of such a relationship) with foreign intelligence agencies...."